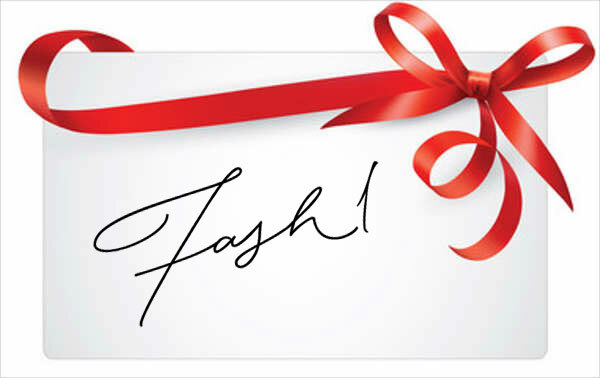 Give the gift of fashion with a Fash1 e-giftcard! Simply enter the amount you wish to gift, go to the checkout page and enter your card details. You’ll receive an email confirmation with a unique code and also the option to send the e-card directly to the recipient with a personalised message. E-cards are valid for 90 days after purchase and redeemable on everything online! Code is not redeemable for cash or any other alternative. *Recipient will receive a copy of the giftcard code, leave blank if you wish to be the only recipient of the code.